1. 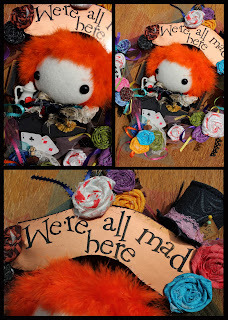 I have made a few Mad Hatter plushes for swaps and custom orders and every time I have such a hard time sending it away. I really wanted one for myself. 2. I really wanted one BUT I have a tiny apartment already FILLED to the brim with plushes and I am moving to an even smaller apartment so if I was going to make a plush it would need to be tiny. 3. But then if I made a tiny plush, I would need somewhere to put it and make it at least sort of functional so my husband wouldn't get irritated that I was putting yet another plush in this tiny space. 4. I wanted a wreath with lots of colors and fun flowers to help bring in the spring (we have had nothing but rain and dreary weather so I need some cheerfulness!). 5. 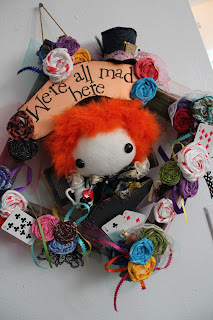 And lastly, I am completely and utterly obsessed with Alice in Wonderland. It was soooooo dirty and gross. I ripped everything off, painted the window black and used ink on the edges to give it an aged look. I just made all the roses myself from fabric scraps, and used tulle and ribbon scraps to embellish the whole thing. The cards are from a tiny set, and the numbers make out my wedding date since my wedding theme was Alice in Wonderland. Best of all, the Mad Hatter comes out, (he is about 5 inches tall) and he can be displayed separately if I want to take the wreath down. I made it for my craft room, so his hat doubles as a pin cushion. Hope you all are starting to get good weather! 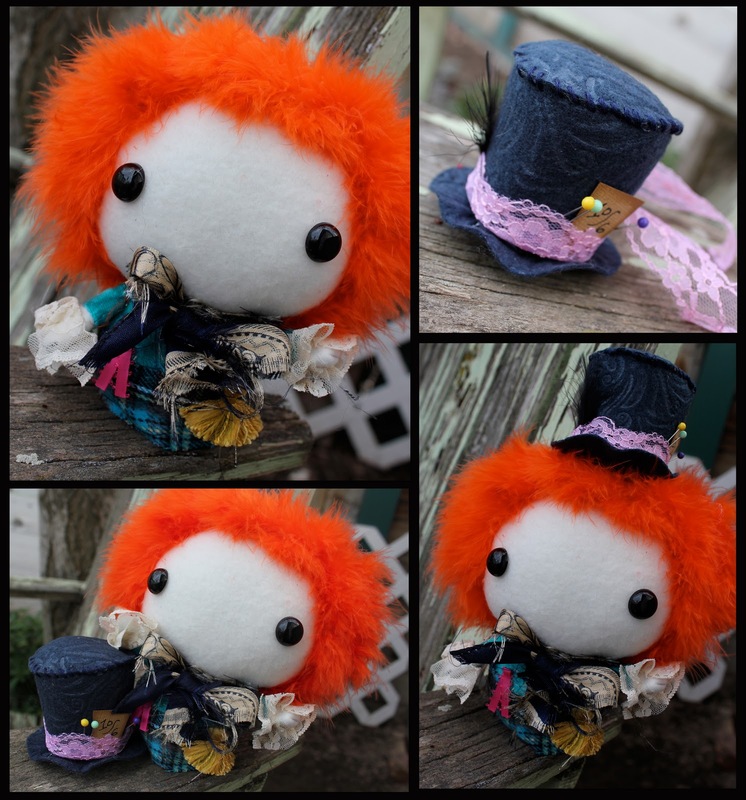 So CUTE and the mad hatter is quite versatile! 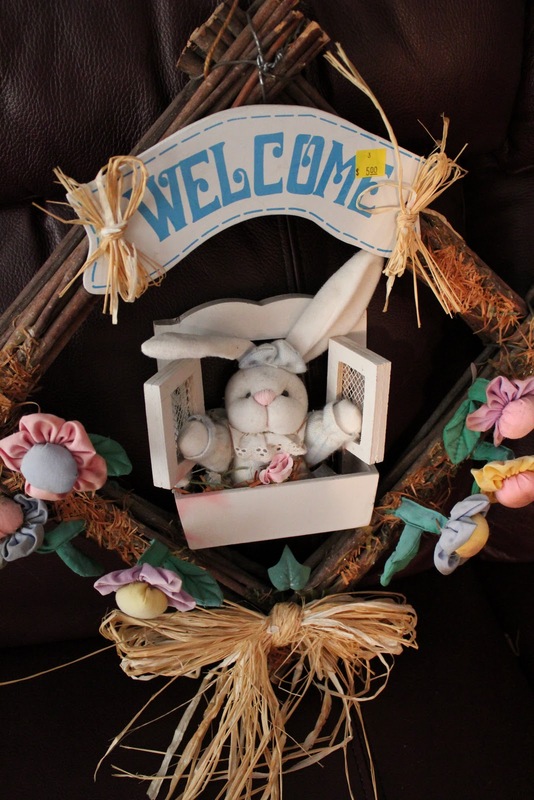 Another great project! Beautiful! What do I need to trade you for one? 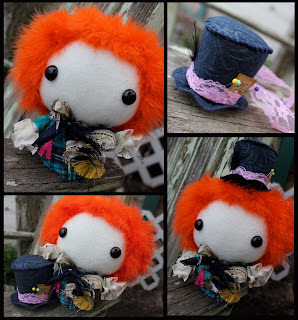 Ok, I think I really NEED one of this tinny Mad Hatter, what a amazing creation Alexz, I love it!! 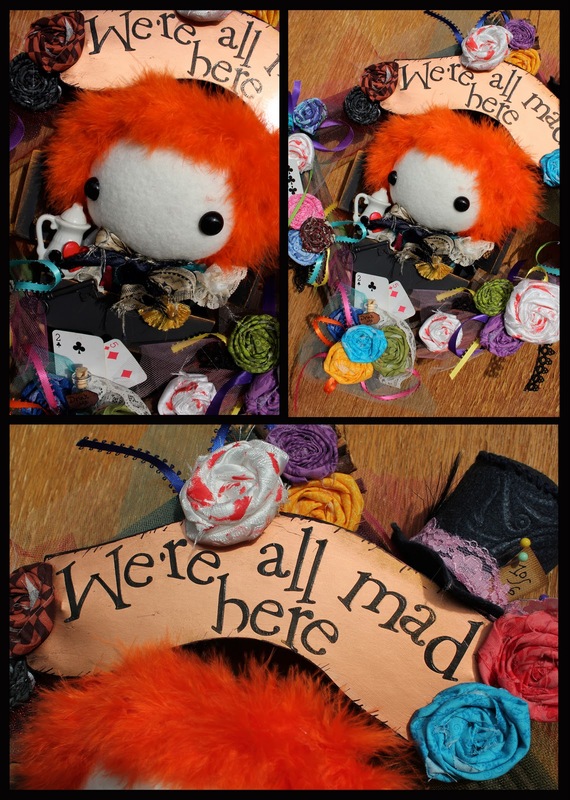 I absolutely LOVE your creations especially the mad hatter since I love Alice in Wonderland. Everytime you have a contest I enter in hoping I can win one of your fantastic creations :) I think you are very talented and am so envious. Keep up the awesome work!